The Sigma 105mm WR (Water Repellent) Protector Filter is a simple, clear filter with a 1x filter factor and is designed to provide general protection for your lens. This optically clear filter does not affect overall image quality while helping to prevent dust, scratches, moisture, and other elements from reaching or damaging your lens. This filter is multi-coated to eliminate internal ghosting and reflections. An anti-static coating serves to limit the accumulation of static electricity, making dust particles easier to remove or preventing them from adhering to the filter. Additionally, a water-repellent coating results in an improved beading effect when in contact with water, as well as oil, for greater cleaning efficiency while enhancing scratch resistance. 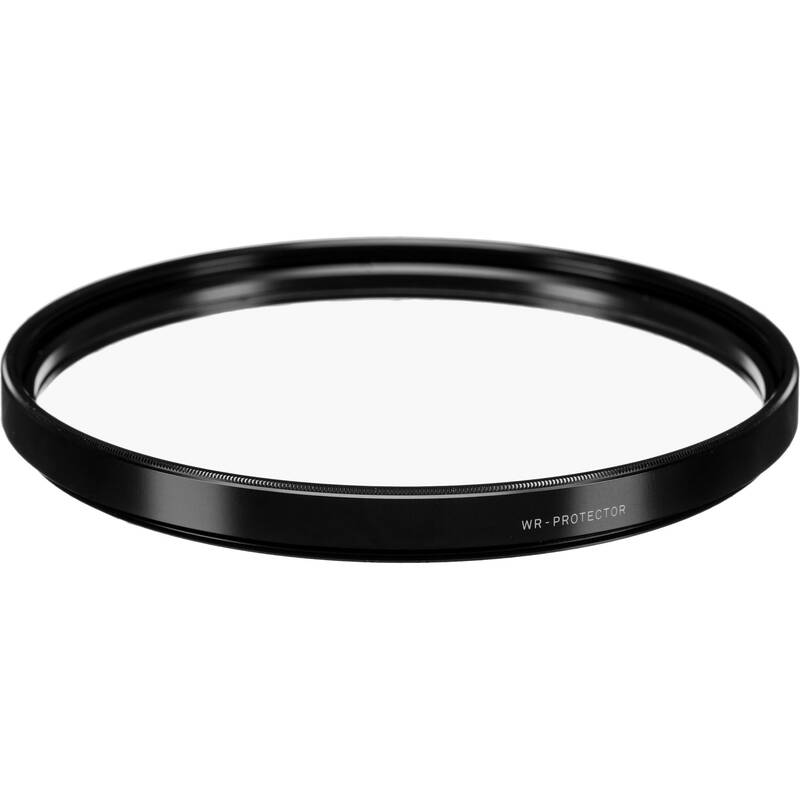 Sigma WR Protector filters are constructed from optical glass with a black rim. Set within an aluminum-alloy filter ring that is durable while remaining lightweight, the glass provides increased clarity as well as color fidelity while the black rim further ensures that reflections do not occur along the filter's edge. Multi-coated to help eliminate internal ghosting and reflections. Anti-static coating serves to limit the accumulation of static electricity, making dust particles easier to remove or preventing them from adhering to the filter. Water repellent coating results in an improved beading effect when in contact with water, as well as oil, for greater cleaning efficiency while enhancing scratch resistance. Constructed from clear, optical glass with a black rim which further ensures that reflections do not occur along the filter's edge. Box Dimensions (LxWxH) 5.512 x 5.433 x 1.024"
105mm WR (Water Repellent) Protector Filter is rated 5.0 out of 5 by 1. Rated 5 out of 5 by Gary M from Great front element insurance policy!! I bought this item just to protect the front element. I didn't do it for my 70-200mm canon L and I have specks in the coating I will never make that mistake again. It is not in the way all and does not affect the lens hood due to the way good attaches. Will this fit my new Sigma 500mm f4 for a Canon camera?